Green Carpet Cleaning OCBest Carpet & Air Duct Cleaning Orange County. Call 949-245-1055. Green Carpet Cleaning OC. This might not be the typical commercial carpet cleaning service, or water damage restoration. 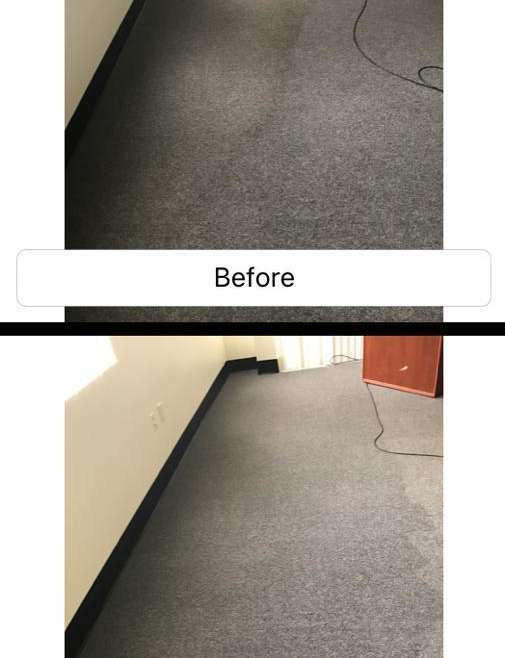 Today we were called for an immediate service for water damage restoration for a commercial carpet Irvine, California. This winter the rain has already caused damage to many properties. It can come through the windows, or even from underneath the ground. However, water damage in a newer office building does not occur very often. However, when it does, there is an immediate need for our emergency service as the office needs to get back to work. Moreover, when it is time to restore the carpet back from its water damage, we typically have to lift it up and replace the pad under as well. However, in our commercial water damage, the carpet was glued down. Therefore, the process could get much more difficult as the carpet could not be lifted up easily. This would normally take careful application of anti mold and meldew products that would sink into the carpet and remove the bacteria. Then, after gentle agitation, we proceed to steam and extract the troubled area of the carpet with the water damage. The main issue we face when cleaning a commercial carpet that has gone through water damage is the drying level. Meaning, when a glued down carpet got wet, it means the glue is lightly dissolved. Therefore, we need to be able to extract all the left over glue from under the carpet. Moreover, in many cases, removing the glue completely is not possible and may take more than one visit. However, thankfully in this water damage case we were able to get the job right the first shot. As you can see in the image attached to this article, you can easily notice in the before photo the damaged area (brown). In addition, if you take a carefull look at the after photo, you will see that all the brown stain that was causes by the water damage is now gone. Also, the smell the normally comes together with the water damage is tough to bare. Thus, you can only imagine trying to work in this environment a full day. Nevertheless, with our fast response and strong anti bacterial formula, you should be able to go back to work within a couple of hours. For immediate assitance with water damage restoration and commercial carpet cleaning, please contact Green Carpet Cleaning Orange County. Best carpet and tile cleaning service Orange County. Green Carpet Cleaning OC. Green Carpet Cleaning Orange County © 2017. All rights reserved.